There was Magic in the Air at the 17th Annual SFCWC Wine-Tasting Extravaganza! 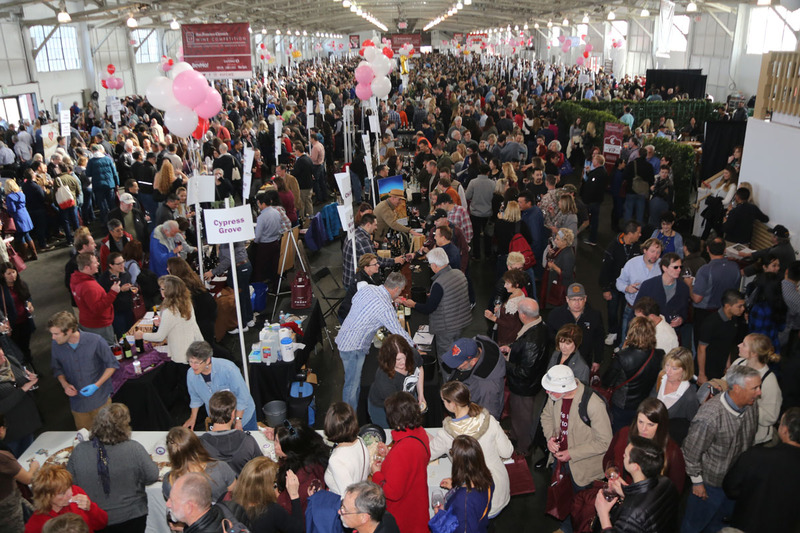 On February 18th, the 2017 San Francisco Chronicle Wine Competition (SFCWC) held its 17th annual Public Tasting at Fort Mason Center’s Festival Pavilion. The event, presented by BevMo!, was an unforgettable celebration of wine, food, and great company. 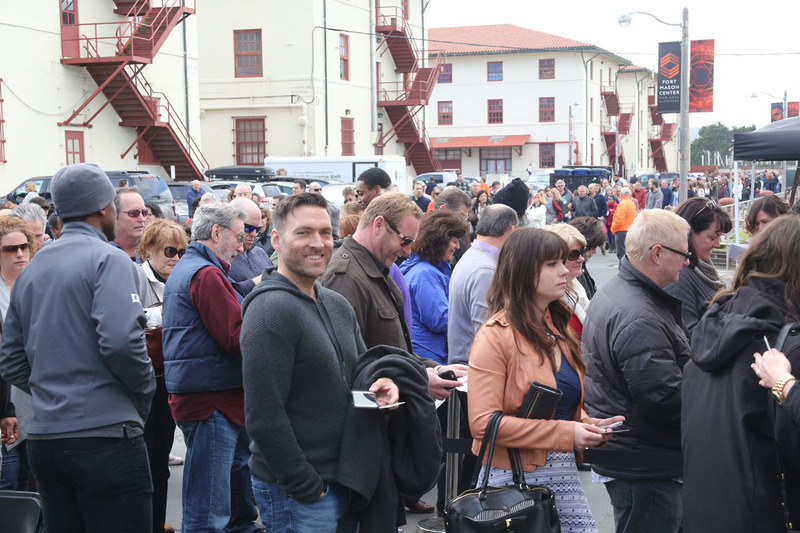 Thousands of guests waited in line outside the Festival Pavilion at Fort Mason. The rain had stopped, and the line meandered across the parking lot almost all the way to the street. Each guest who entered the Pavilion received a commemorative wine glass and a list of the wines in the SF Chronicle Special Section, along with a small loaf of fresh bread from Costeaux Bakery, a bottle of HINT water, and a smile from our hostess Megan Wlodarczyk-Olenberger. And that was just the beginning of the wine-tasting extravaganza which awaited everyone! More than 800 wineries were represented at the Tasting, and the tables stretched in rows all the way down the Pavilion. At each table, friendly winery representatives poured their award winning wines, chatted animatedly and educated the public about what made their wines so special. Safeway provided delicious food options to pair with each sip! 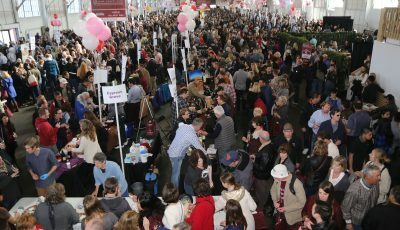 This year’s event, like the past 10 years, was a packed house, with thousands of people enjoying fantastic wines in the company of their family and friends. Many groups make an annual tradition of attending the tasting. This year was no exception, as there were many reunions, repeat guests and a few newcomers. To top it all off, as if a gift from the heavens, the rain stopped, the clouds cleared, and guests were treated to iconic views of the Bay, only adding to this remarkable experience! To add to the fun, the San Francisco Chronicle provided a green-screen photo booth where guests could pose with their friends to get photos of themselves in front of a backdrop of a winery or vineyard. KGO Radio talents, including Bret Burkhart and Nikki Medoro, were also present at the event, providing another entertaining photo opportunity. 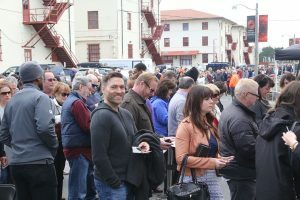 “With so many distinguished wineries in one place, the SFCWC Public Tasting is a truly special event, and this year was the best yet,” said Bob Fraser, SFCWC Executive Director. Be sure to save the date for next year’s San Francisco Chronicle’s Public Tasting on President’s Day Weekend 2018. See you then!